David Moyes's troubled start to his career as Manchester United manager could continue if rumours of a rift with start striker Robin Van Persie have any foundations. Sources suggest that the Dutch striker was concerned about the new manager's training methods, believing they could be making him more susceptible to injury. The problems began when Moyes declined to keep another Dutchman, first team coach Rene Meulensteen on the staff when he took over from Sir Alex Ferguson. Since then the training methods, described by Wayne Rooney as "so hard", have put more emphasis on running and endurance. 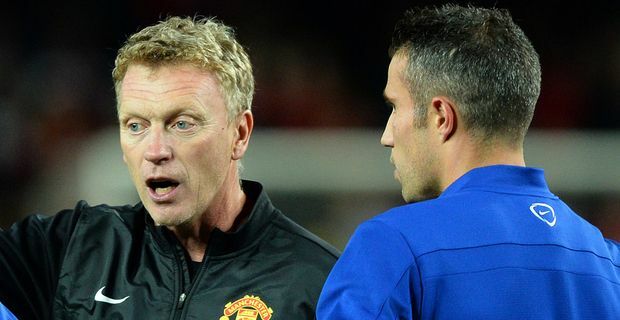 Reports suggest that Van Persie clashed with Moyes over a groin injury that ruled the Dutchman out of United's 4-1 defeat to Manchester City. Until then Van Persie had played 90 consecutive Premier League matches without injury. Moyes's comments after the match suggested a disagreement about the seriousness of the injury. "I don't think his injury is that bad," Moyes said. "We felt he was going to make it but he just felt something in his groin." Diplomacy is not Moyes's strong suit. His forthright comments this season have already antagonised Everton and made them obstructive over transfer deals. Now he needs to ensure that he doesn't lose the support of United's most important player. Moyes seemed to be making friendly overtures by commending Van Persie for his hat-trick for Holland that made him the country's all-time top scorer, "It is an incredible achievement," said Moyes, before spoiling the compliment a little: "What he wants to do now is score more goals for Holland and do it in a World Cup when it matters." Ironically, Van Persie picked up an injury on international duty and is doubtful for the Premier League encounter with Southampton. "He got a kick on the calf and he came off in the second game," Moyes said. "He has had problems with his toes as well."